For the second straight tournament of 2018, we knew the winner before the start of the last day of Sumo. As the final day’s matches unfolded, it was guaranteed that Yokozuna Kakuryu would be taking home his 4th ever Basho victory. No matter what happened on Sunday, Kakuryu would be hoisting the Emperor’s Cup over the Osaka Grand Basho. And for the Sumo Council, it’s exactly the type of ending to the tournament they wanted. A resounding win by a resurgent Yokozuna (who is scandal-free) is a much better story for the sport than what had been in the news at the end of 2017. And now that the talk of Kakuryu being forced into retirement is completely silenced, the Council can look forward to a return to normalcy. After collapsing in the final days of the last tournament in January, going undefeated through ten days before ending at 11-4, Kakuryu needed this victory. As the sole Yokozuna in the Osaka Basho, this was the best opportunity Kakuryu has had in a long while to capture a title. And he capitalized on the opportunity in a major way. To secure the tournament victory in the homestretch, Yokozuna Kakuryu needed to defeat at least one of the two Ozeki in the tournament. (Ozeki are the second highest ranked wrestlers, just below Yokozuna.) He would win the first of these matchups against Ozeki Goeido via “hatakikomi” (slap down). In many ways, this win encompasses Kakuryu’s entire tournament. Consistently victorious sumo but lacking in aggression and dominance. These last two tournaments have shown that while Kakuryu still has it in him to bang with the strongest in the sport, he’d much rather rely on strategy and use his experience to get wins. And while that’s a great strategy for the resurgent Yokozuna, it’s hard to really get behind that kind of style. Especially when wrestlers like Tochinoshin and Takayasu are bringing that strong, slap-you-in-the-face style. That’s why it was so satisfying that both Tochinoshin and Takayasu were the only two losses on the Yokozuna’s record. In fact, Takayasu got to defeat Kakuryu on the final match on the final day of the tournament. So even though the final day centered around celebrating the triumphant Yokozuna, Takayasu humbled Kakuryu, making him brush clay off himself in defeat before his trophy ceremony. It was a moral victory for Strong-Style Sumo. Let’s watch Takayasu’s Day 15 victory, a victory for everyone who loves the Sumo with bull rushes and slaps to the face. 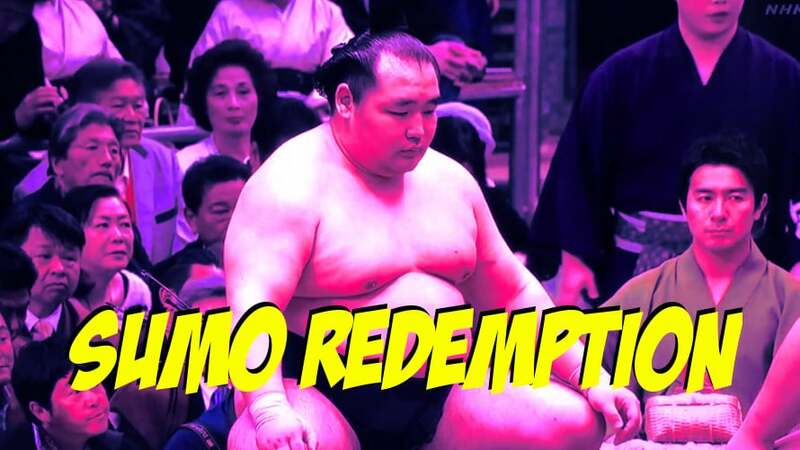 Enjoy the high drama of this fight’s extended referee conference, the rare do over, and Takayasu’s overcoming a leg injury to embarrass the Yokozuna. But ultimately, the Osaka Grand Sumo Tournament was Kakuryu re-establishing himself in the sport. And we should be happy about more competition at the elite level of Sumo. Let’s watch Sumo’s Forgotten Yokozuna receive his fourth Emperor’s Cup.